Magento 2 Blog extension is a better blog for your e-commerce store without a framework such as Wordpress. Comment: Built-in comment, Facebook Comment, Disqus Comment. Magento 2 Blog extension is integrated right into the Magento backend so you can manage your blog and your e-commerce store all in the one place. It is the perfect marketing tool for your bussiness that not only provides update information to your existing customers but also drives more visitors to your online store. A better Magento 2 blog for your e-commerce store without adding any 3rd-party framework. The Better Blog extension allows you to manage categories, posts, comments on Magento 2 back-end. The system will update for you when there is a new comment submitted. This is a great solution for building relevant SEO-friendly text links, and serves as assistance in building sales strategy. 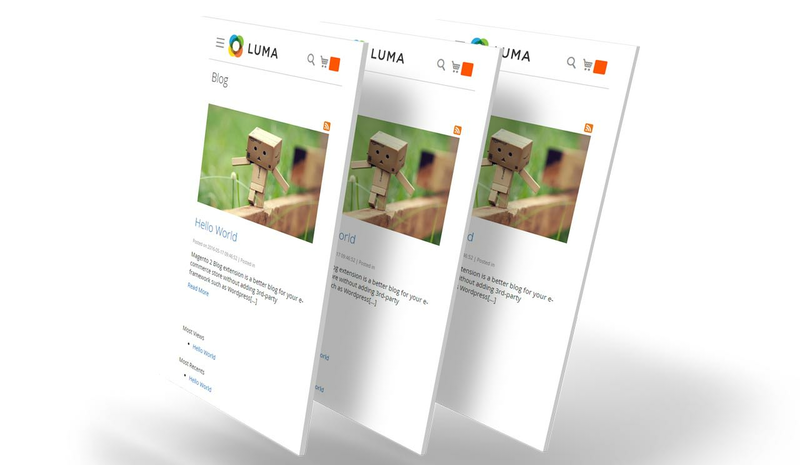 Mobile-friendly design will allow your customers to read your blog posts with maximum comfort on tablets and smartphones. Using the off-canvas menu, they will be able to see widgets and interact with the blog search. Tested on Madison, Ultimo, Porto theme. It is very easy to add recent posts and posts in specific category in homepage. Your customers also see recent posts in sidebar. Magento 2 Blog is integrated with Magento default XML Sitemap. Better Magento 2 Blog Module supports 2 types of comments: Disqus comment, and Facebook comment. You can switch comment type in configuration. Import data from other blogs: Blog Posts, Categories, Tags. Just fill database information and click Next > Done! Manage Blog Categories like you did in Magento 2 Catalog Categories. Full RSS integration into Magento 2 Blog. The blog RSS feed appears right next to the standard product and Magento 2 RSS feeds, allowing users that are familiar with your website to find all the blog RSS feeds easily and simply. Mageplaza One Step Checkout extension is a powerful module to fasten the checkout speed, raise conversion rate and reduce abandonment cart. Hence, your shoppers will be not only impressed by the content of your site as well as your stunning blog but also delightful with the fastest checkout of all time. To help your visitors search the needed post quickly, integrating Magento 2 Layered Navigation extension is the best solution at the moment. Moreover, Layered Navigation extension also boosts your sale when showing instant search results for your shoppers. Numerous Comment engines: Magento Built-in comments, Facebook Comment, Disqus Comment. If you have an eCommerce site, obviously, you do if you’re here, then you need a blog. 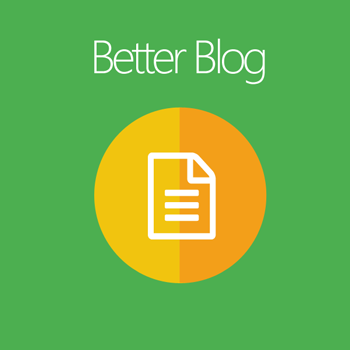 Blogging will improve your SEO ranking. That alone is well worth your time spent creating blog posts. Not only that, but it also shows you are vested in your store and want to help your customers with whatever you are blogging about. 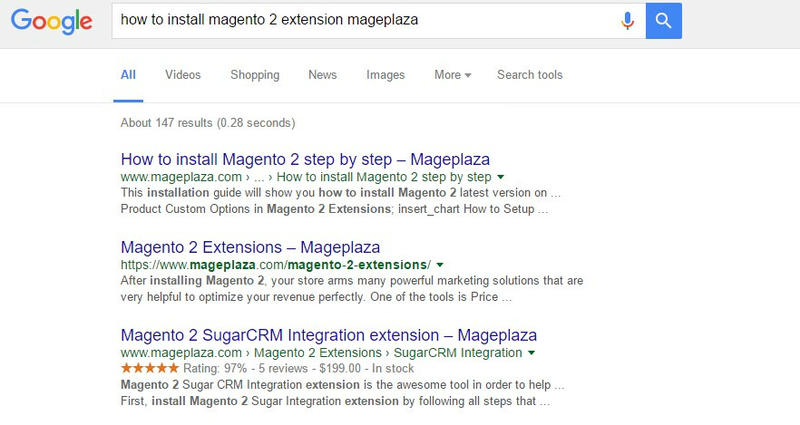 Now, thankfully, the MagePlaza team have been generous enough to offer a FREE blog extension. So there is really no excuse for you not to have a blog. The extension installed easily, and the UI is fairly straightforward. Thank Mageplaza for another great extension! I'm using Mageplaza Blog extension free version and it is a really nice and useful extension. I am pleasantly surprised by how well even the free version works. This module really helps resolve my issues. Currently, everything is working well on my website. Because this extension is included all the requirements of Blog also it is included extra features. Thank you! Everything is working well on my Magento 2 site. Easy to install, add posts and customize the data info into SEO purpose for each post. Thank you very much for this great extension. This is easily integrated with my store, and working great with Magento version 2.2.2. And their support is really too good they helped me to resolve some issues with bestseller product. Good looking, simple to use and a complete blog extension! Works great in combination with the Magento 2 Porto theme. Easy to make blog posts and easy to add and customize the blog widget! I'm using Mageplaza Blog extension free version and it is a really nice and useful extension. I am pleasantly surprised how well even the free version works. I have no problems with it, please make sure to install the Core module of Mageplaza. This is a very good and valid extension. It's an easy extension to install for everyone who wants a blog on his Magento store. Blog extension is really useful to me. It helps me a lot in design our page layout. It I find it very easy to add recent posts and posts in specific categories. This helps my store gain much more traffic. I really love this. Having Magento and WordPress on the same "site" is a no-brainer. After installation, we could do everything that WordPress does. Highly recommended for Magento - hence a must-have! This module really helps resolve my issues. Currently, everything is working well on my website. When I have issues, your supporters resolved them quickly and easy to understand the module. Thank you!. This is a very good and valid extension. It's an easy extension to install for everyone who wants a blog on his Magento store. We have no problems with it, also, please make sure to install the Core module of Mageplaza. It is a useful extension. We can change the setting easily. This is an excellent extension for me surely. So I suggest you should use this extension. Also, their support team had resolved my issue fast. Thanks! This is a good blog extension, recommend using this extension on your Magento 2 site. Everything is working well on my Magento 2 site. I like this so much. And other extensions are also good as well. Thanks a lot, Mageplaza team. The Blog extension works well, it has many useful features. I like this so much. This is a great extension that we are getting for free. Thanks for your support. Now everything is working well on my website. I did not realize that the "core" file is needed to update this extension, once I updated it, the install was easy and it worked with no issues. I would recommend this extension to anyone. Eric is an amazing supporter. It's one of the best support I got from an extension provider. He catches my problem very quickly and without doubt resolved it. He's also good at following up and updating about the status very easily which is rare and amazing. He is an important asset to your company. Eric had resolved the issue quickly. He also helped me out by pointing me in the right direction while we were having trouble with our site load speed. Excellent service, many thanks! Eric was an absolute superstar! His support was greatly appreciated across 3 different issues. I was very happy with his service as well as his effort to solve my issues. This module really helps resolve my issues. Currently, everything is working well on my website. When I face the issues, your supporters have resolved them quickly. Thank you! This is a great extension that we getting for free. Make sure that you installed Mageplaza Core ( https: github.com mageplaza module-core ) before using it. This is the best Blog extension I've seen ever for Magento. It's totally free, while if you want to have the same features with extensions that provided by some other websites, you must pay the money. We are using this extension for more than 1 year and it's really perfect beside its support team. I recommended using this extension for Blog in M2. Because this extension is included all the requirements of Blog also it is included extra features. Fantastic Blog extension with many useful features. It is so easy to install and now it's working 100% without any bug. It helps reduce time to create a new blog. Thanks for your support! The Blog extension works well, it helps reduce time to create a new blog. I love it so much. If this extension is upgraded with more features, I will buy it. Good extension and nice support! I had a problem with URL and I sent an email to Mageplaza team. They have fixed that problem incredibly quickly. Thanks for your support! This is a really good blog extension for Magento 2, and it's totally free! But I miss one thing. That is to make it possible to add more than one author to the blog. I'm looking forward to seeing the upcoming features for this extension. This extension is very nice, very functional, and fulfills its functions very well. I recommend! We use it for several months and at the moment, no problem to report. It's flexible and easy to use. Hello to everyone, Fantastic blog extension with many useful capability. many useful feature such as rss feed, related product, share buttons, and many more. it is also very compatible, stable and easy to install. Thanks for this excellent free extension. Excellent extension: easy to intall and working 100% without any bug. After installation I needed a help for some customizations and support service was really helpful: They gave me a really fast solution! Five stars! We got this Blog module. But got difficulty for using the sitemap. Good plugin and even better service! The Blog extension is great if you want a simple blog for your site. I wanted to translate some words lines. After contacting, it was done within a day! Curtis also learned me to translate it myself. Very good service! Awesome support! Thank you very much! Just about this perfect assistance. Thanks to Curtis! Yeah great service, really appreciate it. Installed very easily and seems to be working well. Had a small question about installation (you need to install the Mageplaza Core Module extension first), but was very quickly resolved. Thanks! Great extension. Excellent support, and fast. Installed the extension without any problem. Pretty easy to customize with almost everything you need of a simple blog. Ran into problem with doing one particular customization (something that needs changes in multiple files, not something that only needs tiny cosmetic changes) and thought I would ask for some guidance. Curtis from the Mageplaza support team went over and beyond in helping me with what I needed and got my request done in 1 day. Couldn't ask for more! I'm very satisfied with the product and support. I was looking for blog extension and this one works really well as expected. Easy to install. I would recommend for those who is looking for blogging extension to add to your website. Keep up great work. The Better Blog module from Mageplaza, was a great addition to our online shop. Simple, easy to install, and worked right out of the box. Definitely recommend it to anyone looking for a simple blogging solution for the magento platform. My site has something wrong with Blog extension. Mageplaza staff (Curtis) instantly checked and solved the issue. Regarding to additional customization, he also provided great service. This extension is very good and it's easy to configure like Wordpress. This extension is very good and it's easy to configure like Wordpress. I've tried many times to connect with Wordpress, but this works well and included rich features. Great support and very nice layout design with good features in the backend in Magento 2. like the services and it is very good. This website highly recommended as they always have support all the time. I do like the promo offer they do it all time. Thank you very much for this great extension.This is easily integrated with my store, and working great with magento version 2.2.2. And their support is really too good they helped me to resolved some issues with bestseller product. Special thanks to Kenny and Curtis for very fast support! I had some problems with my installation but the guys solved that issues almost instantly. And I'm talking about a free product: Magento 2 Blog. Perfect! Thank you for this extension This is smoothly integrated with my store, and working great. Really I like this extension is work perfectly, is work good with Magento 2.2.1 the good thing is free to download. Very helpful for creating blogs. Thanks for great works. Extension working as promised and I got very good support for some adjustments I needed. I recommend. Really i like this extention is work perfectly, is work good with magento 2.2.1 the good thing is free downlode it now and also customer care is very good. Thank you mageplaza. Great support from Kenny and nice simple layout with good features in backend, good addition to the website. I always seem to get a a certain amount of the way with magento installs then the command line does not like something so it was nice to know support could step in and sort it. Highly recommend. Very helpful for creating blogs. Thanks for great works. Thank you. I create a new site. Installed this free blog easily by composer. Easily configured and added a first test post withing several minutes. Direct accessible in frontend by url-key and configurable in theme color for optimal integration. Professional look and feel. Mageplaza did a great job once again to offer the blog feature in Magento 2. The styling looks great and easy to edit it in the branding from a website since it is so minimal. All functionality you need is available and more, when I see the paid Blog extensions they are not in any way better than this free extension from Mageplaza!! Great job guys and keep the good extensions coming! This is a very good extension and fulfilled my all requirements such an amazing experience. An overall awesome extension which is installed perfectly and is much better than the native Magento blog. For those who are still considering, just download it right now, you won't regret it. I recently downloaded Magento 2 blog plugin from your store. And I can say loudly, this module is worth it. This module is smoothly integrated with my store, and working great. Previously, I downloaded social login plugin from your store and that was also great. In blog module, something we can add more, I will be contributing for this module in GitHub. Thank you, Mageplaza, for your this kind of efforts for creating these awesome modules. Would have been nice if it had worked off the bat. Kenny consistently goes above and beyond and deserves a raise. Awesome service and support. Highly recommended. can't beat this free extension! Must Have!! I just installed and busy discovering this extension and I really love the ease and functionality of this free plugin. I looked into some paid blog extensions and didn't see much extra options next to this free extension from MagePlaza. If you like to do some blogging in your Magento 1,2 this extension is a MUST HAVE! Great work guys!! This module is worth it! Hi, I recently downloaded Magento 2 blog plugin from your store. And I can say loudly, this module is worth it. This module is smoothly integrated with my store, and working great. Previously, I downloaded social login plugin from your store and that was also great. In blog module, something we can add more, I will be contributing for this module in GitHub. Thank you, Mageplaza, for your this kind of efforts for creating these awesome modules. I use free plugin Blog M2 for my Magento website. Blog plugin is working even if I had some troubles about installation and configuration, however, support is here to help us. Thank you, Mageplaza! This extension had some problems with home page but support is outstanding. I'm happy with this plugin! Nice extension but my home page crashes when I add blog widget. There is no information about that except one article with simple.phtml file that crashes my front page. This extension is good working. Mageplaza provides great support service. I really like this extension. This extension is highly qualified in every aspect: feature or price and support policy. There is nothing can be complained. The support team enthusiastically helps me even when this is a free extension. Looking forward to working with you guys again! This extension is high qualified in every aspect: feature or price and support policy. There is nothing can be complained. Mageplaza’s Blog extension stunned me time after time not only for the feature but also for the price.It is free of charge, highly recommend! I can say that this Blog extension is the most modern. It has various advanced features that I haven’t seen in others. A thumbs up for Mageplaza extensions! I’ve used 2 extension of Mageplaza and it is the third one. I sincerely like this extension. I hope it can be useful for support others to boost my sale. Thanks! I have used Mageplaza Blog, it's working fine. 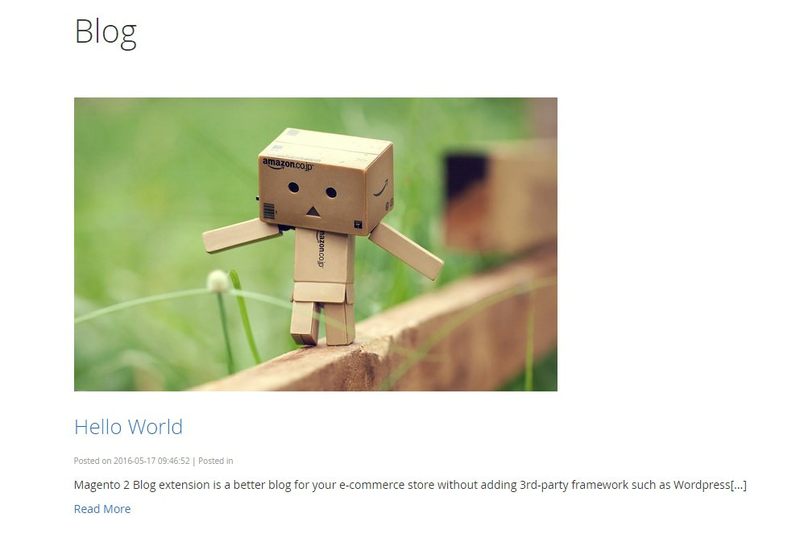 It is excellent extension for Blog for Magento 2. Recommend this extension! An overall awesome extension, It installs perfectly and is much better than the native Magento blog. For those who are still considering, just download it right now, you won't regret it. And it comes with excellent support. Highly recommend! Allow guests to comment on blog posts. Import data from Aheadworks Blog Magento 1. Import data from Magefan Blog for Magento 2. RSS page not found when empty router in configuration. Issue #130. Cannot display blog menu on Top menu - Porto theme. Issue #129. Make Manage Tags & Manage Topics interface into fields in the editing post form. The descriptionshort description error with alternative languages. Cannot get tables during the installation. Correct date & time for publication date. Blog view page load twice. Hotfix #81 Area code not set Area code must be set before starting a session.